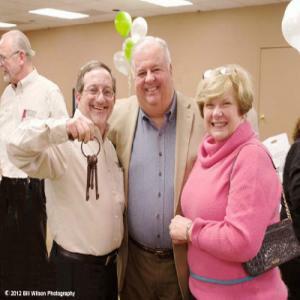 Shapiro News and Events | Shapiro Financial Security Group, Inc.
Ken Shapiro Honored by the New Jersey Society of Certified Public Accountants for Financial Planning, Named to the First CPA List. Ken has been named to the NJCPA's CPA List. He is one of only six CPA’s statewide honored in the area of Financial Planning. He will be spotlighted in the September/ October 2014 issue of New Jersey CPA Magazine as one of its' members who are practicing at the highest levels within a specific discipline. According to the NJCPA, the honorees were "selected for their continuing impact on the accounting profession in the Garden State and beyond. CPA-List categories include Accounting & Auditing, Financial Planning, Forensic Accounting, Governmental Accounting, Health Care Accounting, Nonprofit Accounting, Taxation, and Technology. Selection criteria included career expertise, key accomplishments at their respective firms, NJSCPA engagement and community service. " 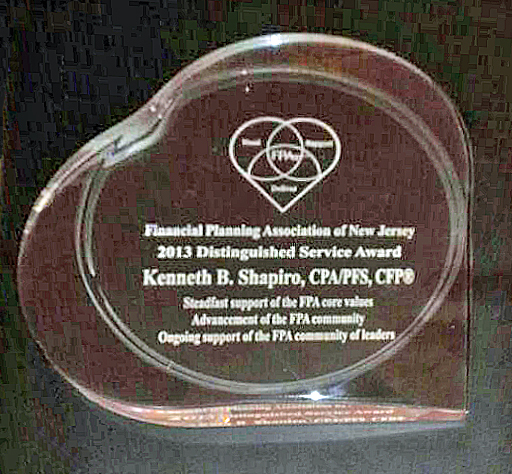 Ken Shapiro recipient of the 2013 "Heart of Financial Planning Award"given by the Financial Planning Association of New Jersey. Ken received the Award on February 8, 2013 at the celebration day event held at the Renaissance Hotel in Iselin, NJ. He was honored for his excellence in service, demonstrating the core values of the FPA®, and giving back to the community and FPA® . The Financial Planning Association® (FPA®) is at the heart of financial planning connecting those who deliver, support and need financial planning. Recipients embody the heart of financial planning and represent FPA®’s Core Values of integrity, competence and dedication to relationship and stewardship. The "Heart of Financial Planning Awards" recognize individual professionals, financial planning firms, FPA® chapters, or organizations who engage in extraordinary work, contributing and giving back to the financial planning community and public through financial planning. 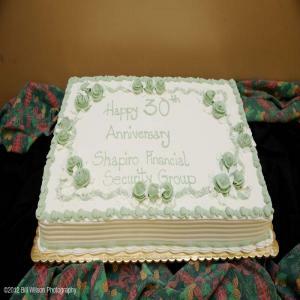 Shapiro Financial Security Group Celebrates 30 Years in Business! On December 8th, 2012, Shapiro Financial celebrated our 30th anniversary, with over 80 attendees joining us for our festivities. We were also joined by Mr. Simon Arrata, who presented "After the Election: Global Economic Issues Impacting your Profile". Many thanks to all who joined us in this amazing milestone!